The internets -- even stinky people are invited. 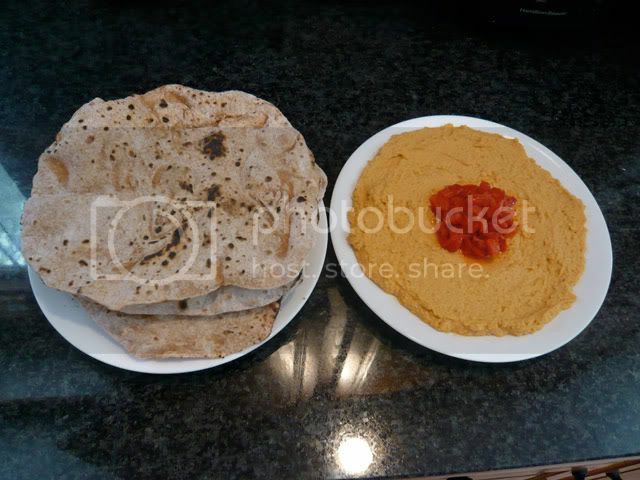 Served with some fresh made Roti bread. Actually, I just did some with roasted red peppers, and it looked just like that!